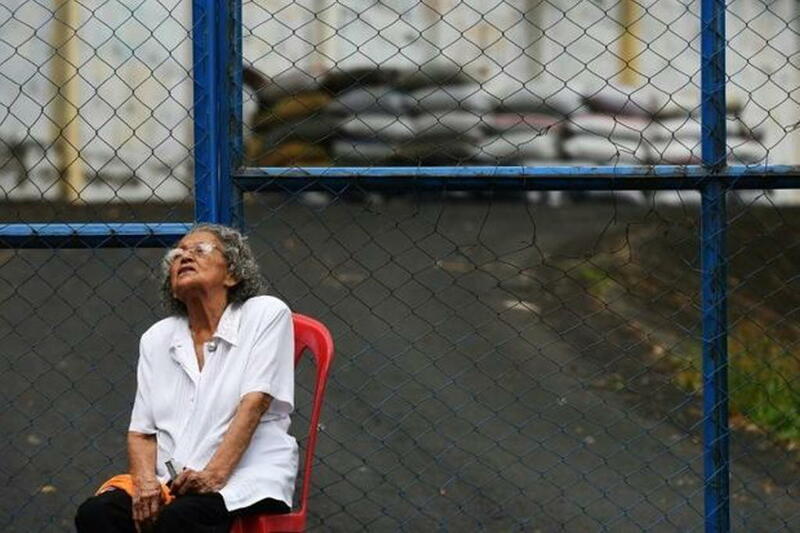 MANAGUA (AFP) – For days, Maria Magdalena Saldana has hooked a gold chain encircling her waist to the gate bulwarking one of Nicaragua’s most notorious prisons. 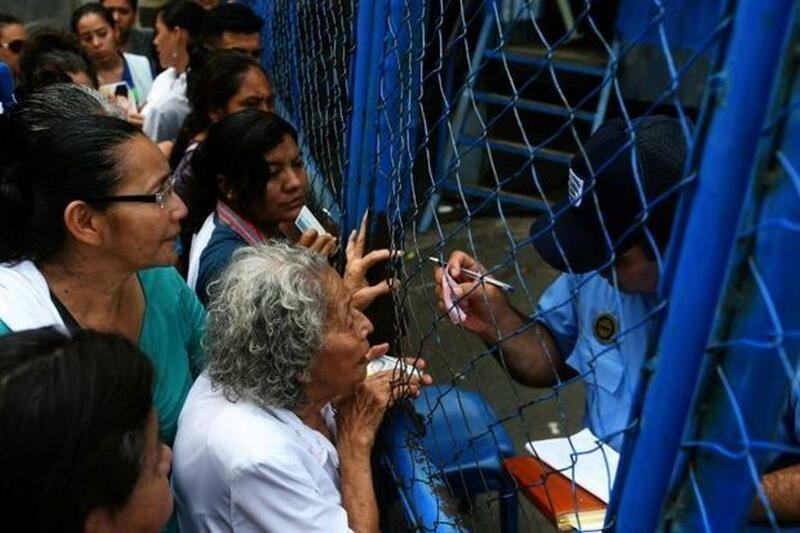 And she vows to stay there — consuming nothing but water — until President Daniel Ortega’s government releases her son, who was detained last week without explanation during a police raid on his house. “As a mother, I am desperate,” Saldana pleas, her voice cracking through streaming tears as several security guards observe across the fence. 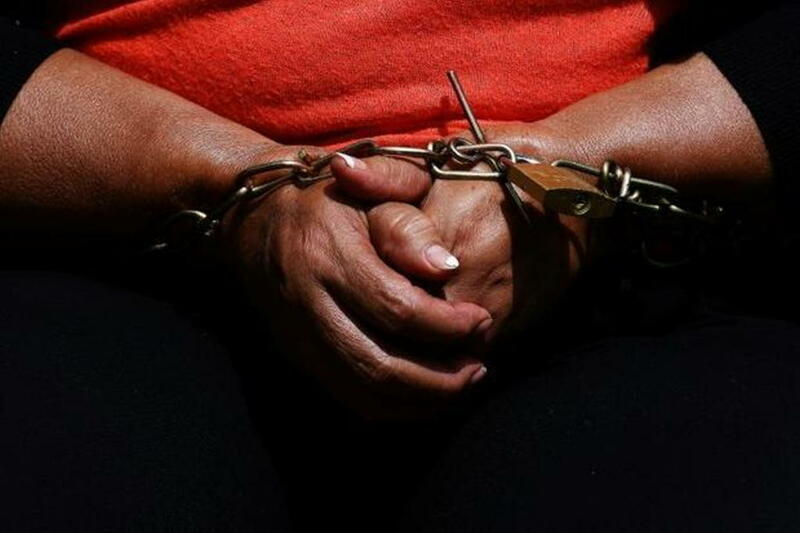 “Let the world know what a Nicaragua mother suffers,” she says, clutching her son’s release order from a Managua appeals court, which she says has gone ignored. On June 12, police forcibly arrested her son Wilder Octavio Garcia Saldana, 37, and took him to the infamous El Chipote prison, shrouded in lush vegetation high atop the capital Managua. The institution’s reputation for brutality is as deeply entrenched as its underground cells, which reach far beneath a rugged hill in the city’s center. Saldana is one of an estimated 2,000 people who have been incarcerated at El Chipote since the start in April of a popular uprising against Ortega, a former leftist guerrilla who since 2007 has gripped power for three consecutive terms. His mother has joined dozens of people protesting the sudden imprisonment of their relatives and friends. “The only ‘crime’ I think my son has committed is to march,” she said, referring to mass anti-government demonstrations that have been met with a bloody crackdown, leaving at least 178 people dead in two months. “He raised the flag of Nicaragua, the patriotic symbol of our country” she cries. The compound now known as El Chipote once served as a nerve center of military dictatorship under the Somoza political dynasty, where the primary means to squash rebellion was torture. Ortega himself was held at the complex, while fighting with guerrilla forces that ultimately toppled Somoza. But upon assuming power, Ortega opted to keep the infamous prison open. They baptized it El Chipote after the headquarters of the revered Augusto Sandino, a revolutionary who fought US occupation during the 1920s and 1930s, inspiring Ortega-era rebels decades later. But among Nicaraguans today, the detention center with dark cells the size of closets still stirs fears equal to those that reverberated under Somoza rule. And the allegation from families of detainees and human rights lawyers that Ortega is allowing thousands of his political opponents to be imprisoned has left a particularly bad taste. Some of the detainees, Abarca said, are as young as 15 years old. “The crime in Nicaragua is to be young and defend your homeland,” reads one of several signs protesters hoist outside the prison fence. A few feet away from the chained Saldana, 96-year-old Anastacia Morales Centeno clutches her face in her hands, sobbing for her grandson Bernardo. The tiny woman, her face riven with wrinkles, says he was thrown into a truck early one morning by groups of armed paramilitaries loyal to the president. “I cannot rest easy because I didn’t resist” the forces who arrested him, she says, as a relative uses an umbrella to shield her from the relentless sun. The legal director of the CENIDH, Gonzalo Carrion, was 18 when the Sandinistas ousted Somoza, and now expresses shock when describing the “tragedy” of the past months. “This police force is at the service of family and power,” he says. As Nicaraguans grapple with what Carrion calls “a state of terror,” the government refuses to acknowledge any wrongdoing. When the Central American country’s Catholic bishops moved to rekindle mediation talks, Ortega’s foreign minister balked at laying blame on pro-government forces. Late Friday, the bishops announced that rival government and civil delegates had struck a deal to create a “verification” commission, and invite groups including the IACHR to probe the violence that almost daily ends in bloodshed. But Saldana has more immediate concerns. “I will not leave until he gets out of that prison,” she says. “We are constantly under attack,” she adds, weeping as relatives chant “freedom” behind her.